Actor Sylvester Stallone is not only the actor behind Rocky Balboa, he’s also a minority owner of the UFC. Needless to say, he’s well versed in the world of combat sports, and as it turns out, he’s got a piece of advice for former UFC lightweight and featherweight champ Conor McGregor. Speaking to TMZ, the actor shared some words of wisdom with the Irish fighter after his recent arrest and his loss to Khabib Nurmagomedov. “I think he should get inspired by all this,” Sylvester Stallone said (transcript via MMA Mania). “Like he says ‘Okay, I’ve been going through a very rough time, I’ve been somewhat publicly humiliated, and I’m at a crossroads in my life, I have to prove something, overcome my fear, overcome my incredible opponent who seems invulnerable, Khabib.’ So this is a crossroads in his life, probably the most important one. If he doesn’t live up to his ideal, if he can’t overcome his fear and beat this man, it will plague him for the rest of this life. 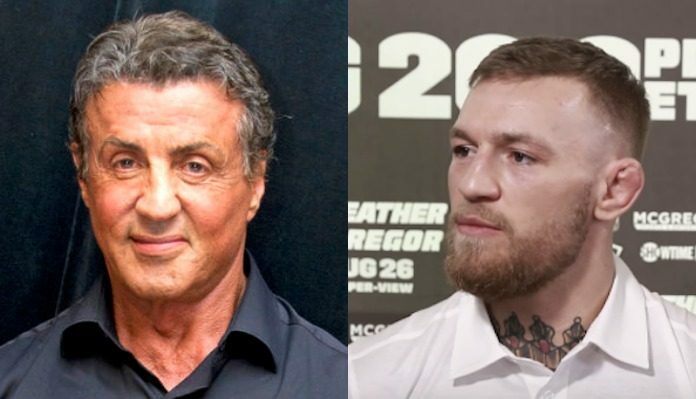 What do you think of Stallone’s advice for Conor McGregor? Would the Irishman be wise to heed these words?